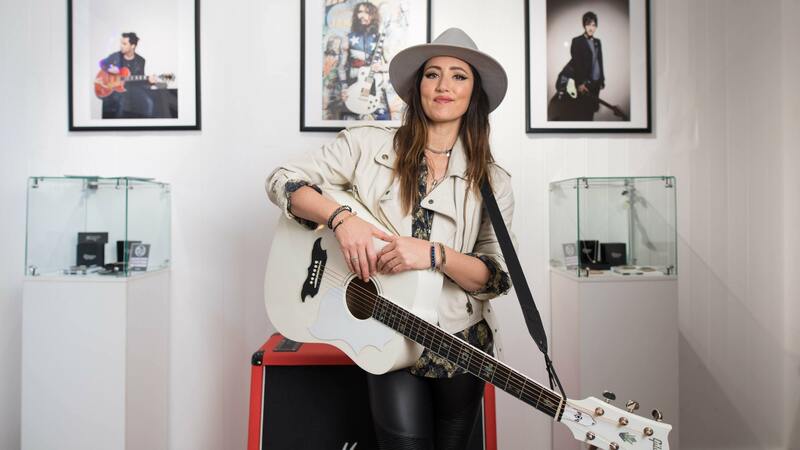 KT Tunstall has revealed how fear of fame and fortune sabotaged her career in the States. The singer says she could “kick herself” for not following up her US hit records. Her debut album – Eye to the Telescope – won a Grammy Award for Best Female Pop Vocal Performance in 2007. And her single Suddenly I See became the soundtrack to the blockbuster film The Devil Wears Prada, and was used in a TV series, with global exposure. But at the height of her platinum-selling success the Scot turned her back on fame – refusing to play stadiums and did not release an album for three years. Yesterday Tunstall confessed to sabotaging her own career: “I handled it really badly and I didn’t know myself. “I was really, really scared of the amount of success I was having. It was quite terrifying because I wasn’t gunning for that. “I very well remember the conversation where my manager, and my booking agent, said we should go into arena shows, and I said ‘No I don’t want to do that. Tunstall ended her hiatus by going back on the road, just with her guitar and trademark boombox. Now she has released a new album, called WAX. She said there was no more bitterness now. “It’s not just going to be handed to you on a plate for the rest of your life. And that’s what I didn’t understand.